"Quadrotors are capable of doing some incredible stunts, like flying through narrow windows and thrown hoops. 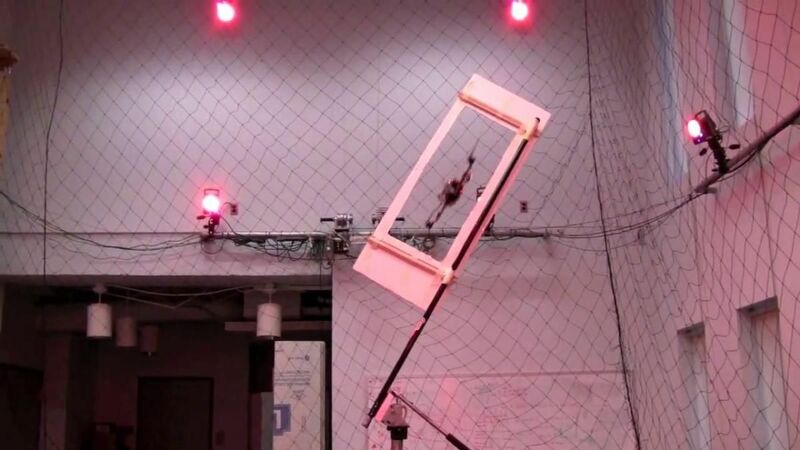 Usually, when we talk about quadrotors doing stuff like this, we have to point out that there are lots of very complicated and expensive sensors and computers positioned around the room doing all of the hard work, and the quadrotor itself is just following orders. With the data that a system like this provides, a computer has no problem issuing very precise commands to a quadrotor flying under remote control to get it to do just about whatever you want. The quadrotor itself is “dumb”: it has no idea where it is or what it’s doing, it’s just following orders, and is completely reliant on all of that external infrastructure to tell it what to do. This new video is different. With research by Giuseppe Loianno from Professor Kumar’s lab, along with Gary McGrath and Chris Brunner from Qualcomm, it features a (very small) quadrotor that’s smart enough to use its own sensors and onboard computation for localization, state estimation, and path planning, allowing it to perform stunts without any help..."